A new year is with us so let's see how the models do.The GFS paralell will be upgraded this year and the new NCEP version will be up in 2019. Wow hard to believe it shows development there in January. Interesting. Reminds me of a system from February 2012 which got a mention on the TWO but never developed. 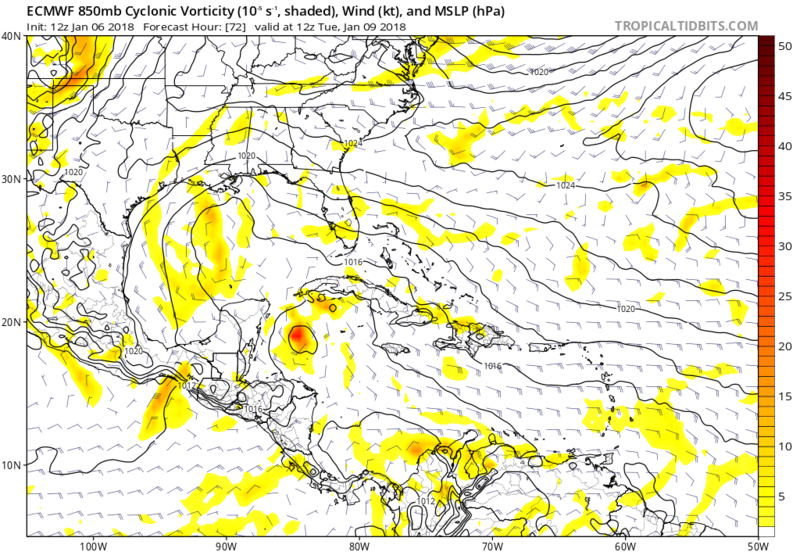 According to the 12z Euro run the weak low begins in the Western Caribbean and from there goes fast north but AJC3 (Tony) explained it well. 12Z guidance pretty much unanimous in running a very weak baroclinic surface low northward along or offshore the Florida east coast Wednesday night-Thursday. The 00z Euro looks to be the most intense run yet with the low pressure off the Florida east coast on Thursday. TheStormExpert wrote: The 00z Euro looks to be the most intense run yet with the low pressure off the Florida east coast on Thursday. Saw this earlier, it looks very interesting. Tight closed low with what appears to be a shallow warm core. Highly doubt it will become anything tropical, but after Alex and Arlene, who knows? 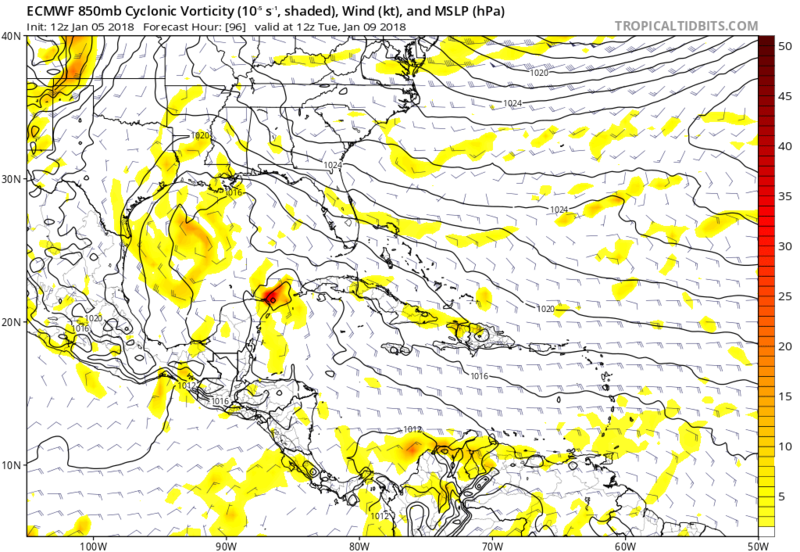 Of course the 12z run goes the other way with no development. As part of this,GFS will have a big upgrade in 2019. January 9, 2018 NOAA’s combined weather and climate supercomputing system will be among the 30 fastest in the world, with the ability to process 8 quadrillion calculations per second, when two Dell systems are added to the IBMs and Crays at data centers in Reston, Virginia, and Orlando, Florida, later this month. 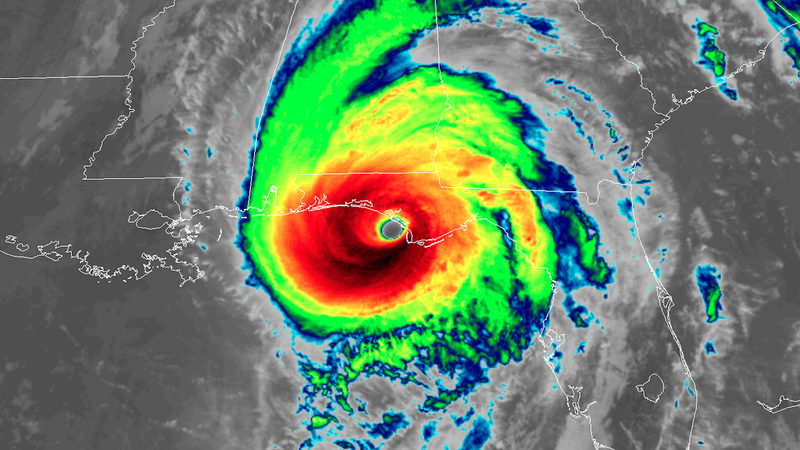 With this upgrade, U.S. weather supercomputing paves the way for NOAA’s National Weather Service to implement the next generation Global Forecast System, known as the “American Model,” next year. Already one of the leading global weather prediction models, the GFS delivers hourly forecasts every six hours. The new GFS will have significant upgrades in 2019, including increased resolution to allow NOAA to run the model at 9 kilometers and 128 levels out to 16 days, compared to the current run of 13 kilometers and 64 levels out to 10 days. 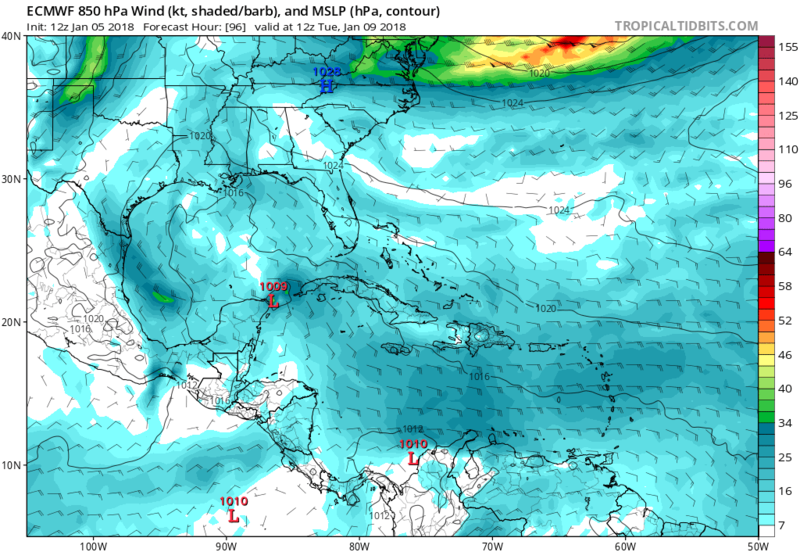 The revamped GFS will run in research mode on the new supercomputers during this year’s hurricane season. Looks like tropical tidbits added ICON. Does anybody know what ICON is? Looks like it is a German model. I have heard of it in some of the NHC tropical discussions. 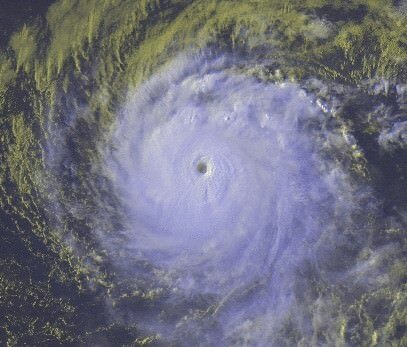 gatorcane wrote: Looks like tropical tidbits added ICON. Does anybody know what ICON is? Looks like it is a German model. I have heard of it in some of the NHC tropical discussions. The NHC was probably referring to the Intensity CONsensus model, not the German model. The ICON tropical model is a combination of the LGEM, interpolated GFDL, interpolated HWRF, and DSHIPS models. gfs has been badly wanting to make this happen. Must be a testament to how ridiculous the NAO h5 gradient is setting up to be. 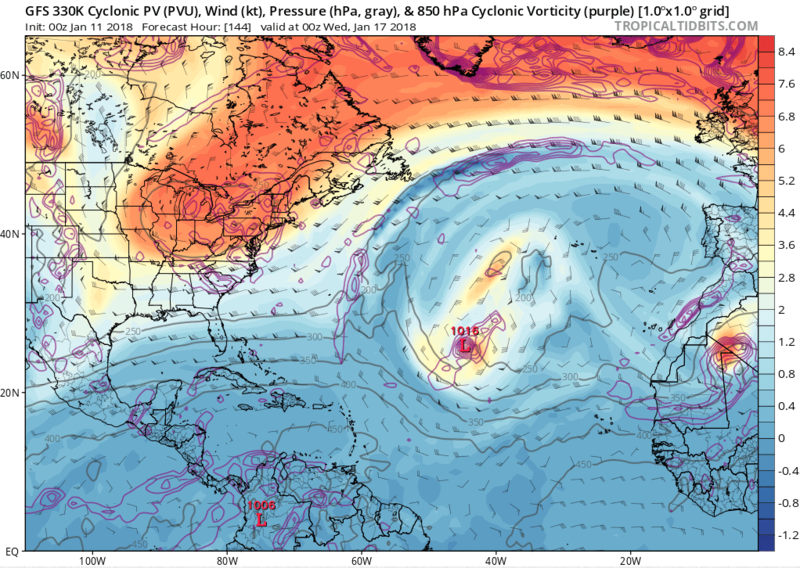 12z GFS develops a subtropical-like low over the central Atlantic next week.